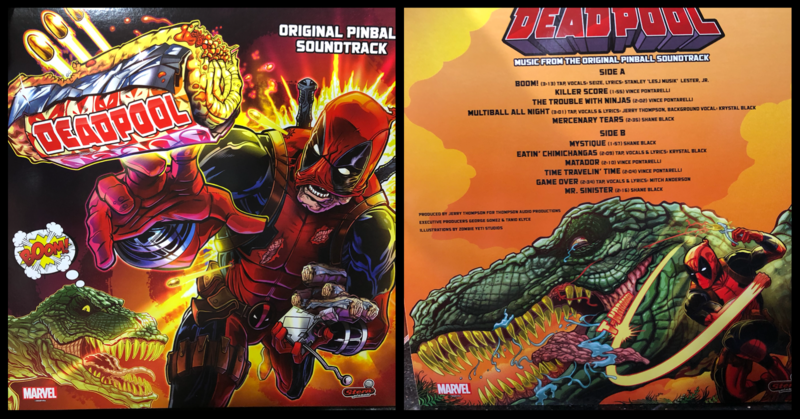 I was at a Game Stop this past weekend and was looking through the clearance section when I noticed a roll a Deadpool wrapping paper. I didn’t want to buy it and carry it through the mall with me so I decided I would come back on my way out and grab it. I forgot about it and left the mall without it. I decided I would go back in today to see if it was still there. 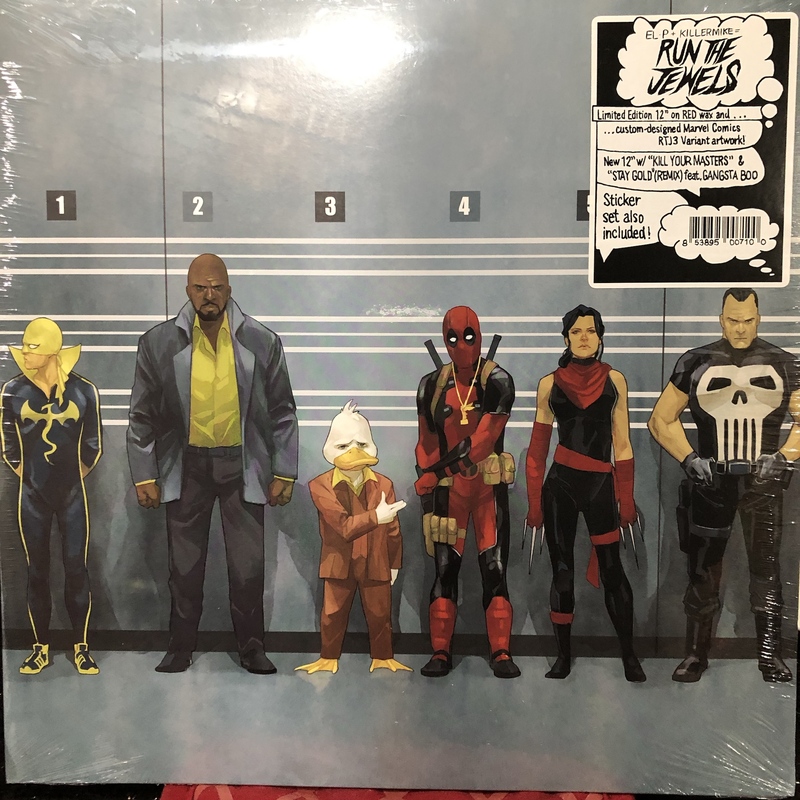 It was not on the clearance rack so I asked the girl at the counter if she knew if it had been purchased or if they had any more of the wrapping paper. She told me the wrapping paper was no longer available. I regaled her with my story of woe about forgetting it when leaving the mall last weekend, she then told me to hold on and went into the back. She came out with the roll of wrapping paper and said, “It is no longer in our system. I cannot sell it to you but you can have it. We were just going to throw it out.” WINNING! 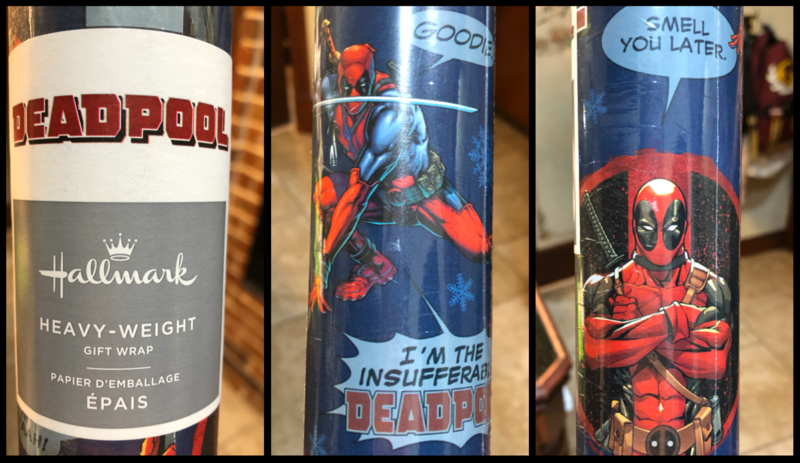 PoolFan wrote: I was at a Game Stop this past weekend and was looking through the clearance section when I noticed a roll a Deadpool wrapping paper. I didn’t want to buy it and carry it through the mall with me so I decided I would come back on my way out and grab it. I forgot about it and left the mall without it. I decided I would go back in today to see if it was still there. It was not on the clearance rack so I asked the girl at the counter if she knew if it had been purchased or if they had any more of the wrapping paper. She told me the wrapping paper was no longer available. I regaled her with my story of woe about forgetting it when leaving the mall last weekend, she then told me to hold on and went into the back. She came out with the roll of wrapping paper and said, “It is no longer in our system. I cannot sell it to you but you can have it. We were just going to throw it out.” WINNING! That's awesome. I have never even seen that one before. I came across this album today. 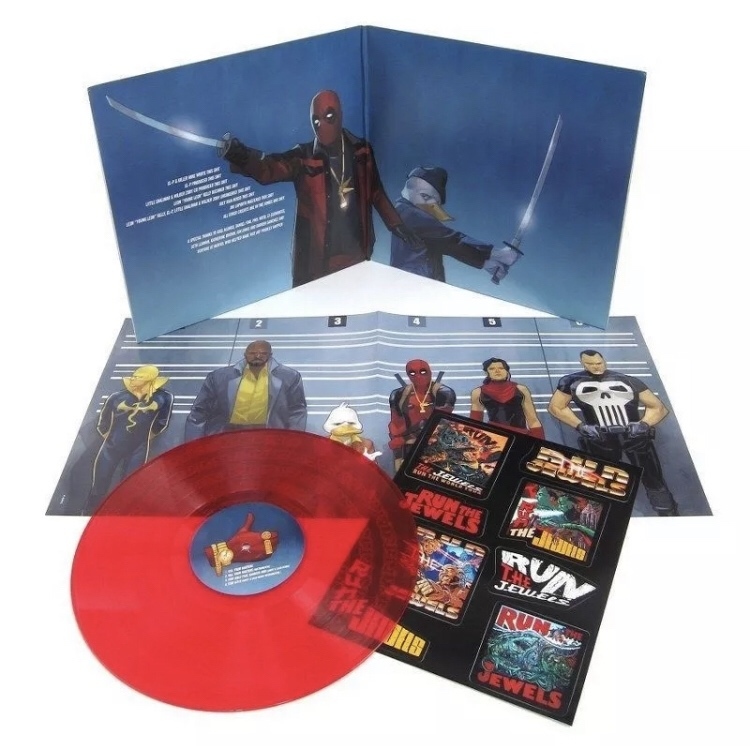 I was able to purchase one of the limited edition Deadpool Pinball Soundtrack LPs from someone who bought the game but didn’t want the record. The disk is a clear red like the one above. Wow! 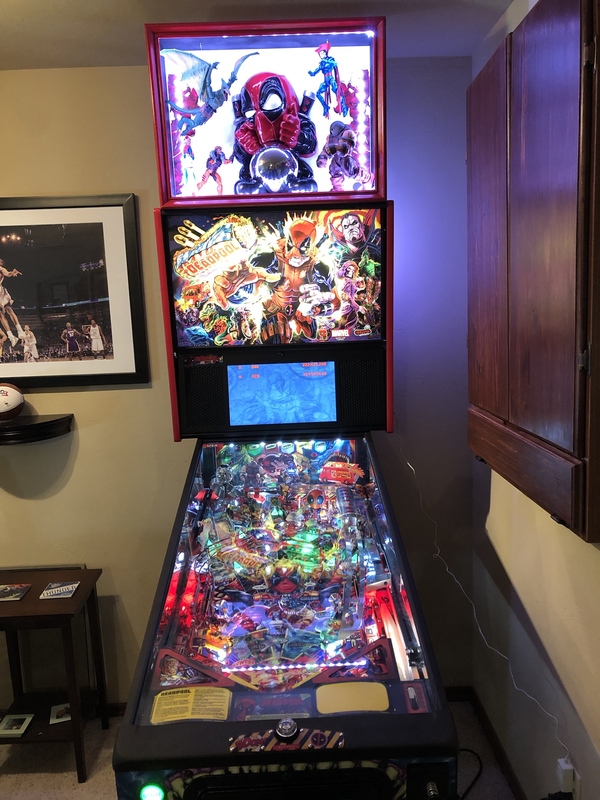 Pinball games sure have changed... I don't recall ever hearing an OST so elaborate on anyone! And kudos on the Run the Jewels set. I almost weeped when I saw the cover art on Noto's Instagram. It's so good!! 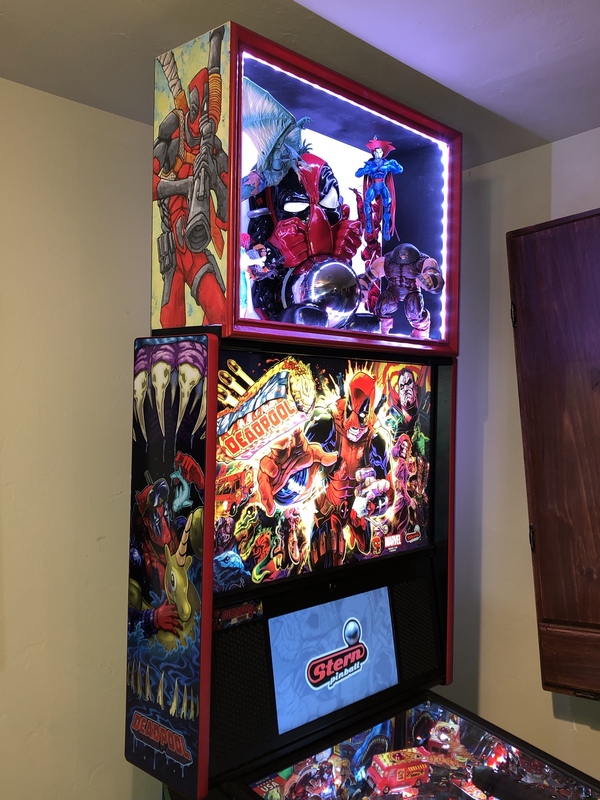 I made a topper for my pinball game based around the Deadpool candy bowl holder I found around Halloween. 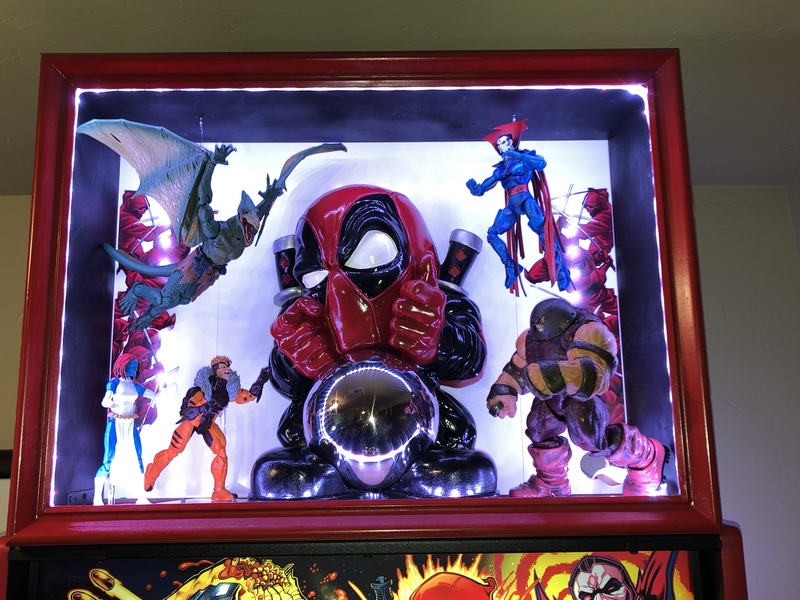 PoolFan wrote: I made a topper for my pinball game based around the Deadpool candy bowl holder I found around Halloween. Looks great. V. jealous. 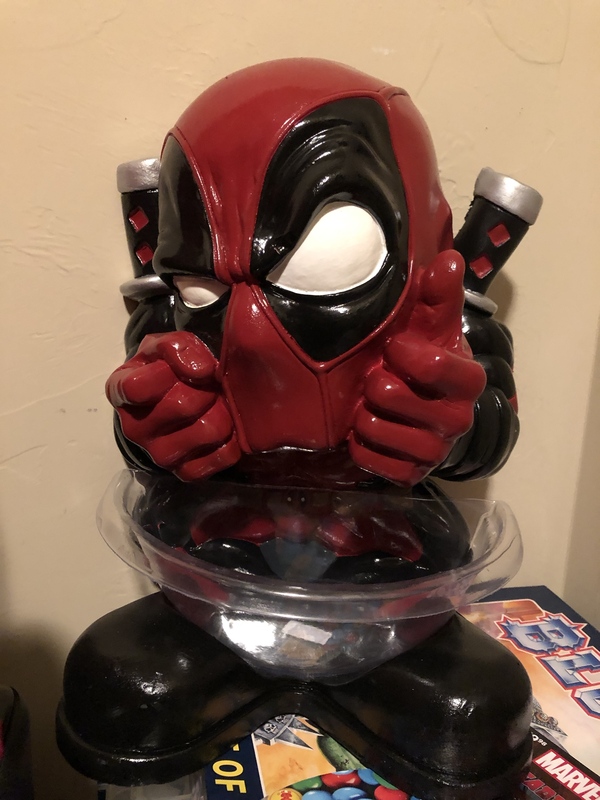 What's the candy bowl holder made of - plastic or ceramics? And have you repainted it in some way? It looks very glossy! It is made out of styrofoam and the gloss is just the original paint.